Enhance your education at IAITAM ACE and receive an IAITAM Certification! IAITAM Certification Courses have been accepted around the globe as the industry benchmark for excellence in IT Asset Management education and an IAITAM Certification award shows the IT world that the holder is an IT professional that is prepared to handle the tasks necessary for the role of IT Asset Manager. 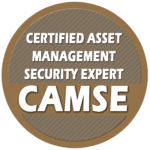 The IAITAM Certified Software Asset Manager (“CSAM”) Course provides a foundation for managing software assets, as well as knowledge of the ever-changing variables that occur within the field. From software piracy and compliance issues, to legislation and organizational challenges, it is necessary to evaluate both the external and internal forces that are bringing changes to how organizations manage their IT Assets. A successful Software Asset Manager must look at the overall goals of the organization and determine where Software Asset Management can play a strategic role in achieving those goals. In this course, students will learn best practices in Software Asset Management, as well as the when and why to question why something should or should not be done, how to clearly identify goals, and how to quantify success. Designed to address the numerous issues plaguing professionals in managing hardware assets, the IAITAM Certified Hardware Asset Management Professional (“CHAMP”) Course follows the lifecycle of IT hardware assets beyond the scope of the cradle to grave analogy and discusses the business practices that can best be used to manage those assets efficiently and cost-effectively. Emphasis is placed on identifying the policies that enhance lifecycle management. In general, policies are only effective if developed by a cross-section of the impacted departments, are reviewed frequently to remain current and are consistently communicated and enforced. The mission of IAITAM’s CAMSE course is to maximize the contribution of IT Asset Management professionals to the information security and physical security of the organization by bridging the gap between ITAM and IT security processes while incorporating security strategies throughout the ITAM policies, processes and procedures so that ITAM enhances the security program and improves the applicable governance. The IAITAM Certification in IT Asset Disposition (“CITAD”) course prepares individuals to manage the IT asset disposal process within an organization. Best practices in IT Asset Disposition (“ITAD”) are broken down from policy management, data security to chain of custody transitioning. Attendees whose job responsibilities include ITAD will take away the knowledge of how to avoid risk of data loss and public exposure that surround a breakdown in ITAD process management. ITAD best practices, financial return, data security global implications and the importance of vendor management are just a few of the topics incorporated in the CITAD course. With IAITAM’s ITAD Best Practices, ITAD will no longer be viewed as corporate overhead, but rather a profit center and area of risk mitigation.